By Nicholas Fogelson, M.D. 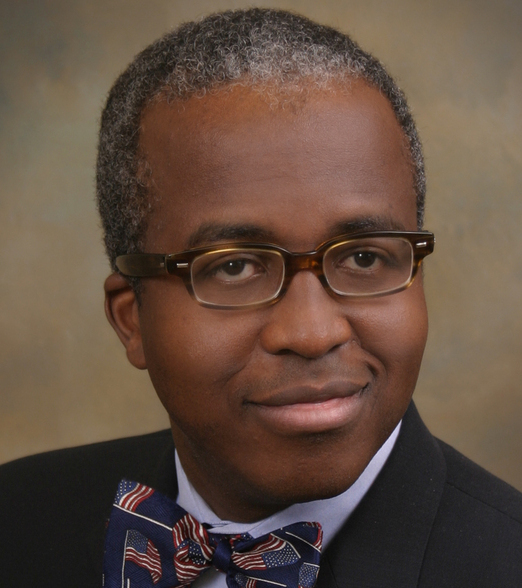 and Chukwuma Onyeije, M.D. Early reports described the story of Tracy Hermanstorfer as a “Christmas Miracle”. It has also been described as inspiring, heartwarming, and “wonderfully appropriate for the season.” Others have referred to her saga as a nightmare with a happy ending. On Christmas Eve 2009, Ms. Hermanstorfer was admitted to Memorial Hospital in Colorado Spring, Colorado after her water broke. Ms. Hermanstorfer suffered a cardiac arrest during labor with her child Colton. After immediate resuscitative efforts failed, nearby Maternal Fetal Medicine physician (Dr Stephanie Martin) performed an emergency cesarean section. In the minutes following the delivery, Ms Hermanstorfer regained circulation and breathing, and is now doing well. Her infant also went on to survive and is apparently well. While it is clear that the heroic efforts from Dr. Martin and the team at Memorial Hospital were instrumental in saving two lives on the night before Christmas 2009, the story raises many questions. Some are satisfied to conclude that it was simply a miraculous event for which we should not expect an answer. Others are concerned about the chances that a perfectly healthy woman in childbirth could experience cardiac arrest. Finally, others will assume that there was some deviation from accepted practice at the hospital that lead to the events of that evening. As expected, following this event, there has been a great deal of speculation what happened. Many theories have been provided, but the underlying message in the mainstream media is that the reason for this event is, and will remain unknown. The internet media has not been as humble. There has been no shortage of conspiratorial theories and hypotheses in the blogosphere. For the most part, such explorations into the cause of the Christmas Miracle are helpful as long as they are grounded in facts rather than opinion. Many observers feel certain that this event was due to a complication of an epidural, and used this reasoning to accuse the entire obstetrical model of malfeasance. In comments on various sites, the authors of the current post entered the fray based initial accounts of the events, to state that we did not think this case was related to an epidural issue. Our initial suspicions were that Ms Hermanstorfer had a primary cardiac event of some kind. Later accounts have provided a somewhat different story of the events, rekindling the possibility of an epidural issue. When you are hearing about a medical case second hand, you never have the whole story. Each of us can recall instances in which we heard about something that went amiss and felt that we had the answers that the people who were there were somehow lacking. After giving these opinions in retrospect with some authority, we have both been humbled in finding that our initial impression was incorrect, when additional information became available. These situations remind us that medical cases passed over voice communication are like a big game of telephone, and the details are always scrambled in the end. The problem is magnified when information is carried by untrained people who often lack the medical knowledge to effectively communicate what happened in an unambiguous way. Even medical charts can be ambiguous at times, particularly when they are constructed retrospectively after a critical event, when there is no time for contemporaneous documentation. The truth is that what everybody has been talking about on the internet (present company included) is a theoretical case, based on information passed through multiple media sources about something that really happened. Its like a movie based on a true story. They aren’t talking about the real Tracy and Colton Hermanstorfer. The only people who can do that are the people who were there, and they have been the most humble of all, clearly admitting that despite a thorough workup they do not know what happened. As outside observers, we do not have the answers to this case. However, as practicing OB/GYN physicians with experience in the field, we have the ability to use our familiarity with labor and delivery along with forensic research, review of the available information and some educated guesses to form hypotheses for what may have happened to Tracy. All of the clinical information that we have at our disposal comes from the descriptions of the event in the media and online video interviews. In order to provide our perspective to the current discussion, first let us go through what information we have about this theoretical case, and maybe create some educated theories on what might have occurred. There have been a number of account of what happened, but mostly they come from an interview with Mr Hermanstorfer and ABC interviewer. Following these events, resuscitative efforts started. 30-45 seconds after nearby Dr Martin arrived Tracy’s heart stopped. A cesarean was performed a few minutes later, and at some point after delivery Tracy recovered a heartbeat. A number of physicians have been called upon to speculate on what occurred, but no physician has yet claimed to know exactly what happened, outside of saying that she experienced a cardiac arrest. Childbirth Educator Henci Goer, on the other hand, has decided that this was certainly the result of a high spinal anesthetic that lead to respiratory collapse and cardiac arrest. So let’s go through a few possibilities, how they happen, and why or why not they might have occurred here. A high spinal anesthetic occurs when anesthetic drugs intended to remain in the lower part of the spinal cord travel up to the top of the cord, creating greater anesthesia and paralysis than is intended. This can occur either in the epidural space, above the duramater, where an epidural catheter is supposed to be, or in the subarachnoid space, beneath the durameter, where the catheter can (rarely) be inadvertently placed. A high spinal has a characteristic presentation. With a high spinal, after dosage of the spinal or epidural anesthetic the patient’s level of numbness and weakness progressively rises. Once it reaches the level of the chest, some of the breathing muscles become paralyzed, giving the patient the sensation of not being able to breathe, despite continued motion of the diaphragm. If the level reaches C3, the diaphragm will become paralyzed, rendering the patient unable to breathe. A high enough spinal also blocks the sympathetic nervous system, which speeds up the heart and is part of how we maintain blood pressure. This can lead to lower blood pressure and pulse rate. All of these things together, if untreated, could eventually lead to a cardiac arrest. The medical literature does describe cases of cardiac arrest following high spinals. After reviewing what information we have, we feel it is possible that this is what happened in this case. However, there are some problems with this theory. First of all, if this had occurred, Ms Hermanstorfer would have had progressive shortness of breath and eventual respiratory collapse. Nothing in the transcripts indicates that this happened. The only mention of “shallow breathing” is by the interviewer, and was not corroborated by any source that was actually there. In fact, no-one but the interviewer ever mentioned shortness of breath at all. Her husband mentioned that she felt tired and wanted to go to sleep, which is not what someone short of breath would do. In fact, shortness of breath is a very strong stimulator of the central nervous system, and nobody would want to sleep in that state. And most telling, there is not one mention of a high spinal anywhere in any story, nor by the physicians treating the patient, or by physician commenters. A high spinal is something that is not hard to recognize. If it had happened, we wouldn’t be talking about a mystery at all – and if it had made the news at all it would have been reported as such. A rare complication of epidural placement is placement of the epidural catheter into a small vessel in the epidural space. If this is done, the local anesthetic lidcoaine can be infused directly into the venous system and thus into the heart. In adequate quantities, this can cause cardiac arrest. Some have speculated that this might have occurred, and it is worth considering. But there are two big problems with this theory. First, it is standard procedure when placing an epidural to use a test dose of anesthetic mixed with some epinephrine. If the catheter is intravascular, that small amount of epinephrine will quickly cause tachycardia, alerting the anesthesiologist of the issue. We don’t know if that was done in this case, but most likely it was. The other issue is that like the high spinal issue, this case doesn’t really fit a lidocaine poisoning profile. Lidocaine toxicity can cause cardiac arrest, but first it causes seizures. Ms Hermanstorfer did not have seizures. It is possible that Ms Hermanstorfer had a primary cardiac arrythmia, possibly due to a congenital heart defect or conduction pathway aberration. I imagine that this has since been investigated with tests to evaluate the structure and function of her heart such as an EKG and an echocardiogram. Aortocaval compression syndrome, is a condition caused by the compression of the two major blood vessels in the back of the mothers abdomen (the abdominal aorta and inferior vena cava) by the pregnant uterus when a woman lies on her back. Aortocaval compression is a frequent cause of low maternal blood pressure, which can in result in loss of consciousness. In extreme circumstances it can also lead to a significant decrease in blood flow from the mother’s heart which can result in cardiac arrest and fetal demise. Symptoms that precede loss of consciousness from aortocaval compression include a rapid heart beat, sweating, nausea, low blood pressure and dizziness. Aortocaval compression is very common in pregnant patients and would not be related to anesthesia. However, it would be extremely rare for aortocaval compression to result in cardiac arrest as seen in this case. An amniotic fluid embolism occurs when amniotic fluid enters the maternal vascular system. This can cause massive cardiovascular problems, including sudden cardiac death, even in very small amounts. This is certainly high on the list of what could have occurred in this case. Some have claimed that her lack of bleeding and clotting abnormalities rule out this possibility, but we would point out that we actually don’t have this information. She very well may have had some of those signs later. Though a large embolism does reliably cause more long term illness, a very small one could present this way. AFE is a very difficult thing to study, as large ones are frequently fatal, and non-fatal ones are hard to confirm, as the only real confirmation is through autopsy. Thankfully we are spared that confirmation in that case, and so this possibility remains. This is when a clot breaks off inside a vein, usually a leg vein, and ends up in the lungs. A large enough clot can block all blood flow out of the heart in the lungs (called a Saddle Embolus), causing cardiac arrest and sudden death. Though this was mentioned by a few newscasts, the fact that she did not have persistent shortness of breath and hypoxia after the recovery pretty much rules this out. A small embolus wouldn’t have stopped her heart, and she would not have recovered quickly from a long one. This is when a large amount of air gets into the venous system. This can act very much like a pulmonary embolism, as it can block blood flow through the heart. However, as the major components of air are blood soluble, this typically will be absorbed and the patient will recover. The question in this case would be how the air got into the system, if that were what occurred. Epidurals and IVs can’t deliver enough air to cause this issue. If her membranes had been ruptured, this could have happened through the uterus, but that would be a very strange occurrence. But this case is strange, so who knows. Finally, we think it is prudent to clear up some misconceptions which have been propagated in the media reports of this case. The first issue concerns the status of the child at birth. Some reports have indicated that the child was born lifeless and that the resuscitation of the infant was part of the miracle of the birth. While we cannot deny the fact that it is a beautiful thing that Colton survived this harrowing birth, we do feel that it is not fair to the pediatric staff who performed the resuscitation to simply dismiss their actions as a byproduct of some larger miracle. Indeed, when a fetus has an abnormal heart rate or a delivery is done as an emergency, it is not uncommon for the child to appear “lifeless” at birth. It is a testament to the diligence and professionalism of pediatric care specialists that such infants are routinely resuscitated successfully at the time of delivery. Secondly, many reports which have indicated that Ms. Hermanstorfer “died” and then came back to life miraculously. While this certainly makes for sensational headlines, physicians are reluctant to make such claims. Certainly when a persons heart stops beating, there is a presumption of cessation of life, but it is important to distinguish clinical death/cardiac arrest (which is reversible via CPR and other medical procedures) from biological death (which has no cure from a medical standpoint). Tracy was clinically dead but not biologically dead. It is possible (as Dr. Martin has indicated) that the act of delivering the fetus relieved pressure on the aorta and vena cava and provided the impetus for Ms Hermanstorfer’s heart to resume beating. There is also a condition known as electromechanical dissociation in which the electrical activity of the heart continues but cannot be detected in the patient’s heart beat or pulse. Another important issue concerns the time that Ms Hermanstorfer was in cardiac arrest. Initial reports indicated a period of 15 minutes; however, subsequent interviews with Dr. Martin suggested 4 to 5 minutes. This 10 minute difference is huge from a medical perspective because the likelihood of reversing cardiac arrest drops significantly the longer a person is in arrest. In the end, we have an insufficient amount of information to determine why the “Christmas Miracle” occurred. Based on what we know, the most likely cause is either is an unusual form of aortocaval compression or a primary cardiac arrythmia leading to cardiac arrest. These conditions are highest on the list of medical problems that would lead to such rapid decline, and potentially recover as was seen in this case. Although we cannot say whether this case could have or should have been handled differently, we join with others in congratulating the medical staff at Memorial Hospital in Colorado Spring, for their rapid, life-saving action and wish all of the best to Tracy, Colton and their family. This story (and your post, sorry) leaves me with more questions than answers with what really happened with the “Christmas Miracle,” story. I can not figure out why the hospital would want to advertise the story like some sort of Touched by an Angel episode. I am a NICU RN who has practice in very large, high risk settings with L&D ICU’s etc. Only once (in 17 years) have I witnessed a C-Section performed outside of the OR, and that was a pregnant mom who came to the ER DOA. It was an ugly scene. I would like to thank you for giving props to the NICU team, it’s appreciated. It sounds like the baby recovered very rapidly with minimal resuscitation required. That makes me think the mom was not down for long (no way 15 minutes), so placental blood flow was not compromised for long. This would lead me to believe it was an acute, transient event that led to this mom’s respiratory, then cardiac collapse. I would be very curious to know what the cord blood gases showed, and if the placenta was sent for pathology. This story makes for a great case study. Thanks for your analysis. I thought the coverage by Sanjay Gupta was some of the better work he has done. He was fair and brought a fair amount of technical expertise to the story, despite his lack of background in OB/GYN. You are correct in several ways. There certainly are more questions here than answers. As you rightfully point out, we are making guesses without a great deal of objective information. For starters, no blood gases, no labs from the mother and no details regarding her subsequent test results to look into what was the problem. You also correctly state that the benign course for the child and the rapid (seemingly uncomplicated) resuscitation points toward a shorter duration of arrest than has been reported in some places. My personal assessment is that the “Touched my an Angel” angle was great to give the story legs in the media and the fact that it happened on Christmas eve also adds to the miraculous nature of the narrative. But I agree with you, however, that kind of focus takes away from the hard work and credit that should rightfully go to the hospital staff. I remain hopeful that some reporter, somewhere, will go back and collect the missing information and provide a follow-up story as a public service to those of us who have followed this story and would like some cloture on this issue. I would say that it’s the least the media could do for the general public since they essentially brought us into this story and left us off at the climax. Knowing the eventual medical resolution of this case would be more than just denouement. It would represent completion of their duty and education of the public. It may also dampen some of the conjecture that has been spread in the blogosphere. We can hope. But I’m not sure it’s going to happen. Thanks again for your kind comments. And stay tuned. On the video (http://abcnews.go.com/video/playerIndex?id=9447356), the father clearly says, “…ONE of the nurses noticed that the color, etc…” May seem minor to you, but it means a lot to credit the nurse there who observed her patient going gray and took immediate action, along with the anesthesiologist and crash team. Ah.. Yes that was a typo. Thanks! Correction: Henci Goer is not a MD. An excellent author in my opinion, but not a doctor. Also a typo – sorry. We knew that. Dr. Fogelson and Dr. Onyeije, I am curious about AFE. It is my layperson’s understanding that this condition is increasing, and was virtually nonexistent until the advent of induction agents, and that in particular, the risks of AFE is higher under both pit and cytotec. Also, if it were AFE, are there any tests they could perform to track down the embolism, remove it and analyze it? Isn’t it also true that AFE only has around a 20% survival rate (even under the best of conditions)? Just feeding my curiosity. Any comments are appreciated! AFE is a very rare and serious complication of pregnancy and childbirth. I know that some non-physician sources say that it is associated with misoprostol and induction/pitocin, but I do not believe there is any solid evidence to support this supposition. AFE is _very_ rare, and as such is very difficult to study. Furthermore, only AFEs leading to maternal death are confirmed, at autopsy. AFEs with recovery are “presumed AFEs”, as the only real confirmation is through sectioning of the maternal lung tissue. This creates a large confirmation bias in any potential study. As for fixing an AFE at the lungs, that is beyond our technical ability. When a bit AFE hits, it causes a massive reaction that often leads to maternal death in a matter of minutes or even seconds. Smaller AFEs can progress more slowly, and can sometimes be successfully treated with massive blood product transfusion. Sometimes 50 or even 100 units of blood products can be used in a successful AFE rescucitation. I believe 20% would be an optimistic death rate for AFE. I have not seen recent numbers, but in my experience the death rate would be closer to 50%. Has anyone thought of the idea that the mother may have Long QT? Was she ever tested for it after the delivery? Thanks for that note. You’re right that that study did not find an association between AFE and induction. AFE is so rare that 1 or two events can push a study one way or another even in a large population. Events this rare are very hard to study, and generally due to extremely low prevalence there aren’t a lot of outside influences that move the needle on incidence a clinically significant amount. I was taught that AFE is associated with ‘tumultuous or hypertonic’ labour – which is certainly more likely with induction agents (and also associated with increased maternal age and multiparity). To be honest, it’s such a rare event that I never interogated the textbook lists of risk factors, but just accepted them. It certainly wouldn’t be on my list of significant risks associated with induction (compared with, say, increased risk of pph, painful labour, need for continuous monitoring and possible FHR changes). The absolute risk of AFE is so low, an increased relative risk is pretty irrelevant. ‘Vanishingly rare’ doubled, tripled, quadrupled is still ‘vanishingly rare’. I think the term ‘amniotic fluid embolism’ misleads people into thinking that it is somehow similar to a thromboembolism or PE. In fact, the more recent research I’ve read suggests that AFE is more like an anaphylaxis, I don’t know how much support their is for that position. One issue is – we don’t know how common it is to have fetal cells circulating in the mother’s blood stream. (The new non-invasive Down’s testing will depend on the fact that fetal DNA does routinely get into the mother’s bloodstream). It may be that quantities of fetal cells/amniotic fluid getting into mother’s bloodstream is quite common in childbirth – with anaphylactic reaction very rare. However, we don’t measure this in normal circumstances (i.e. when there has been no reaction) so we have no way of knowing how rare/common an event it is. Oops, was also taught that AFE was associated with maternal age and multiparity. Not that these were associated with hypertonic labour…. Thank you for your comments, Melgirl. Actually, I did have a chance to look over the Canadian Study in the Lancet which suggested an increase risk for AFE with induction versus spontaneous labor. However, I would caution all of us for using induction of labor as a causal reason to question any individual induction. The reason is because AFE is so rare, even if there is an increased “statistical” risk, it is doubtful that this is important on a “clinical” basis for any individual patient. Put another way. The study in the Lancet quotes a risk of 14 per 100,000 for AFE and a 1.8 adjusted odds ratio. This would mean (approximate numbers here) for any patient in spontaneous (non-induced) labor the chance of NOT having an AFE is 99.99989% whereas for the patient undergoing an induction of labor the chance of NOT having an AFE is 99.99981 . (the difference is between 10.5 per 100,000 and 19.0 per 100,000). Significant from a statistical standpoint but not from a per patient standpoint. Nevertheless, while we cannot ignore the fact that induction *may* increase the risk for AFE, I would say that there are bigger reasons to avoid induction than the avoidance of amniotic fluid embolism. Again, I have my doubts regarding AFE in this case. It would seem logical that if you “squeeze” the uterus too much that amniotic fluid would end up in the blood vessels and bad things would happen; however, what appears clear now from recent research is that the presence of amniotic fluid in the mothers blood is much more common than we think and that only a subset will essentially have an allergic reaction to amniotic fluid which results in the syndrome of AFE. In my experience (and yes this is a completely non-evidence based appeal to anecdotal evidence) patients with actual AFE are *very* sick and even when they survive the road to recovery is long and rough. Hence, I would put AFE on the list but lower in the list of possibilities. Whew. I’ll say it again. Is there an investigative reporter out there willing to look into these questions for us? Thanks for the contributions, everyone. To add to Dr. O – AFE is something that an obstetrician fortunately only sees a few times in a career, which is too many. Many obstetricians have never seen one. It it the veritable White Whale of complications. AFE is an interesting thing. As Dr O. has mentioned, there may be amniotic fluid in maternal circulation in women not affected by the syndrome we call AFE. But conversely, injecting amniotic fluid of a pregnant animal into the animals bloodstream _does_ reliably cause the AFE syndrome and death of the animal. It may be a question of amount. Women who die rapidly of AFE have their small pulmonary arteries packed with fetal squamous cells, in essence creating a pulmonary embolism. This part of the AFE may be separate from the anaphylactic part of the syndrome. Perhaps this is why some women seem to be more affected by the AFE than others. Thanks to all for the discussion. I’m glad people have found the time and interest to read our long post! This is a little like the studies looking at heart attack patients in the hospital and asking whether or not shoveling snow was as risk factor. Turns out that it was, but they didn’t find it because the patients who had heart attacks shoveling snow tended to die and end up in the morgue, not in the hospital where they could be enrolled into the study. Thanks so much for an excellent evaluation and an awesome article – I thoroughly enjoyed reading it. Thanks for such great information. p.s. Thanks so much for your comments on my blog! My first MD to comment – I am so honored!!!! I really appreciate the critique. Thanks for this post. Is this what an adverse event review would be like? How common are those in reality, and would you expect that there was one for the original incident? Or, is there only a review in cases of mortality? I think, based on a lecture I heard at a local ACOG conference, that it is not standard for all hospitals to do near miss reviews, because the content of such reviews must be revealed to malpractice case evidence. I have one question – I was leaning toward the aortacaval compression theory myself, which I had suggested on other posts about the case. However, you say this would be independent of the anesthesia. But, if an epidural frequently lowers venous return by lowering blood pressure and venous tone, wouldn’t it complicate and contribute to the aortacaval compression? In my experience this case would most definitely be reviewed in the hospital’s morbidity and mortality conferences. Each hospital does it differently, but cases that result in a significant morbidity (emergency hysterectomy, massive hemorrhage, admission to the ICU, etc) or a mortality, should be reviewed at least quarterly. M&M’s are not a punitive tool, but a learning tool. All players and other experts should be present. Also, M&M reviews are non-discoverable in court, as are hospital incident reports. I have a problem with the way many media outlets, from news stations to advocacy blogs to medical blogs sensationalize stories. The media, in this case, may have played up the Christmas miracle side to the story. Birth advocates may have played up the danger of epidurals (although I agree they need to be looked at more critically than they are, and I have personally witnessed incredibly poor informed consent for the procedure. Also, medical blogs are not immune from taking an adverse event that occurs in a homebirth (I am not linking, but I think it should be easy enough to find a recent post like that) or involving the refusal of an intervention, and blowing that up in an insensitive and often inaccurate way to support a point of view about paternalistic medicine. >> I think Henci Goer simply stated it sounded like a high blockade, not that she was sure it was a high blockade. Well, Ms Goer accused Dr Martin of sleeping through her anesthesia lecture and not knowing much about her chosen field and then claim that she knew a lot more about physiology than Dr Martin, which seemed quite inappropriate to me. I have never met an MFM physician who was not remarkably intelligent, and they tend to know a great deal about all of these issues. Ms Goer then went on to explain in great detail what happened with great apparent authority, without even considering other possibilities, or the flaws in her theory. I found her remarks offensive. She is passionate about her point of view and I respect that, but in this case I believe she made far too harsh a stand without backing it up with real physiologic knowledge. Passionate people cross the line sometimes, me included. I think that happened in this case. >> However, you say this would be independent of the anesthesia. But, if an epidural frequently lowers venous return by lowering blood pressure and venous tone, wouldn’t it complicate and contribute to the aortacaval compression? Yes they probably would have some additive effect. Dr Onyeije may be able to expand on this. >> Is this what an adverse event review would be like? I suspect that the hospital has had or will have a “Root Cause Analysis”. The big difference between a RCA and what we have done is that an RCA involves the people who were actually there who have access to all the available information. As such, I think what we did could not be considered an RCA – we have done some educated speculation. As we mentioned, we could be missing important pieces of the puzzle, pieces that tend to be lost when medical information is transmitted through the lay press. >> Also, medical blogs are not immune from taking an adverse event that occurs in a homebirth (I am not linking, but I think it should be easy enough to find a recent post like that) or involving the refusal of an intervention, and blowing that up in an insensitive and often inaccurate way to support a point of view about paternalistic medicine. I think we’re all guilty of forcing the facts to fit our preconceived notions at times. People aren’t so simple that we can be categorized as “good” or “bad” or “paternalistic” or “ignorant” or whatever. We all have characteristics that show at different times, and those parts of us are all real. The shame is when one person or group finds something they don’t like about another person or group and the decides that they are defined by that one thing. Its bad for relationships. Yes, I definitely agree it was neither subtle nor polite of Henci Goer to say the physician (who I did not realize was an MFM until this post) slept through an anesthesiology lecture. I think there is a difference between having a tone problem, and claiming to know exactly what happened. Both are incorrect, but different. I agree there isn’t much to be gained by overly strong language. I think many people, when discussing many health issues, including pregnancy and birth, but also when discussing breastfeeding and parenting, need to step it down a notch with the sweeping judgments, name calling and accusations. It’s not only bad for relationships, it is bad for critically examining a topic if it is obscured by a bunch of emotion-fanning nonsense. However, I do think paternalism in medicine is a real problem, and can be pointed out when it is an accurate criticism. I think Dr. O would agree with me on that one, as would the ACOG position statement on ethics and decision making for elective surgical procedures. When I asked about the adverse event review, I meant like the original post, but with the people involved and peers in the hospital, not on a blog with non-involved people with varying levels of expertise, of course! Like, let’s say you and Dr. O worked at the hospital – it consist of you two (as peer experts) and the medical practitioners who were involved would meet with some hospital administrator, I am assuming (this is a hypothetical) and go over what might have happened with a list like the original post, and would probably add in stuff from the chart and the history (and recovery, hopefully) of the affected patient. I was just wondering how common it was when there was not a mortality, and if there was a pressure to not have such reviews due to liability concerns. I have heard that whatever is reviewed is discoverable as evidence, i.e. can be requested and must be given to the plaintiff in a malpractice case. Not that I necessarily disagree with that – if there wasn’t negligence, I would think the review would substantiate this, but I know that is me speaking as a student and a mother, not as a defendant. I think this kind of case would trigger a root cause analysis in most if not all hospitals. It involves all the doctors and nurses involved, nursing administration, and usually hospital risk management. I believe those proceedings are nondiscoverable, but I’m not sure. RCA is about identifyin issues that can be improved in a hospital. It is ultimately in the hospital’s best interest to find out exactly what happened, irrespective of future litigation potential. Such information would be crucial in a defense, or decision not to defend, if a case were brought. Sometimes cases go out to independent third party reviewers as well, though this is more typical when there is a specific doctor or other practitioner who has shown a pattern of complications that needs unbiased investigation. “And most telling, there is not one mention of a high spinal anywhere in any story, nor by the physicians treating the patient, or by physician commenters”. If you are going to make inferences from both what was said, and what was NOT said, then I think that you have to acknowledge that certain types of events are more “speakable” than others. I don’t think you have to be a “conspiracy theorist” to recognize the possible medicolegal implications of various types of public statements. For simplicity, let’s define two groups of possible theories: first, the spontaneous, non-predictable occurrences like AFE or underlying cardiac defect, which are unlikely to result in future liability on the part of the providers; and second, those theories that suggest a tie between the patient’s collapse and the actions of the care providers, like epidural placement or pitocin use, which could potentially expose the hospital and caregivers to unfavorable legal action. It seems entirely reasonable to expect that if any of the actual participants saw evidence or suggestions of the first type of event, there would be little or no disincentive to bring this up. On the other hand, if one of the possibilities in the second group rose to the top of the suspicion list, there may be be plenty of incentive to stick with the story that “we just don’t know”, which may indeed be true, but something other than the “whole truth”. Let’s just ask hypothetically if one of the authors here walked into this crisis, and rescued both parties, and you actually knew or strongly suspected that the epidural placement was what triggered the crisis (whether through an actual mistake or just a quirk in anatomy or drug sensitivity) – How much would you say in a public press broadcast appearance? I’m not trying to get on a soapbox here and say “THIS IS A COVERUP”. Maybe there was lots of taped footage of Dr Martin explaining all the various possibilities, and the network folks chose to use only the statements that fit with the mystery-affliction-miraculous-recovery narrative that plays so well on TV. But I’m not convinced by this particular argument, which seems to link the mention or non-mention of a particular theory, to the actual likelihood of it having occurred in this case. You are right about the disincentive issue. Having a complication become the center of a media frenzy is a situation no hospital or doctor wants to be in the middle of. I’m sure their words were chosen carefully, perhaps even veted by hospital risk management. My underlying point was that a high spinal is not hard to recognize, and if that had occurred, I don’t think there would be much mystery around it. But that being said, it is possible that doctors and the hospital, caught inside a media magnifying glass they never wanted, decided to play dumb for the cameras. I might do the same thing. Doctors are pretty well trained to not make statements about what happened until you really know what happened, and in this case, they probably didn’t know for sure at the time of the interviews, even if they had an idea. Not likely, unless it is initiated by the parents. The hospital personnel shouldn’t be divulging any more details to a journalist or reporter without the patient’s consent. And at this time, it doesn’t look like the parents are interested in debunking the idea of having been touched by a divine presence. But the dad mentioned keeping a scrapbook of press coverage for his son; maybe somewhere along the way they will stumble upon this post, or Henci’s post, or something else that makes them reconsider other possibilities. And maybe they will request a disinterested third party to do a complete review of the hospital records. But I suspect that we will never *know*. And not to be nit-picky or anything, but all of the other reportage spells the baby’s name as Coltyn, not Colton. For what it’s worth (I am not a medical professional), the sequence of drowsiness, followed by respiratory arrest without struggling for breath, followed by cardiac arrest, sounds more like an opioid reaction than a lidocaine effect. Patient hypersensitivity? Dosage error? Catheter migrated after repositioning the mother?